Earth's smaller orbit and faster orbital speed allows it to pass Mars. Through most of the year, Mars appears to move in one direction against the background stars when viewed from Earth. However, when Earth passes Mars, it appears as if Mars reverses direction briefly. The apparent reversal of motion is known as retrograde motion. 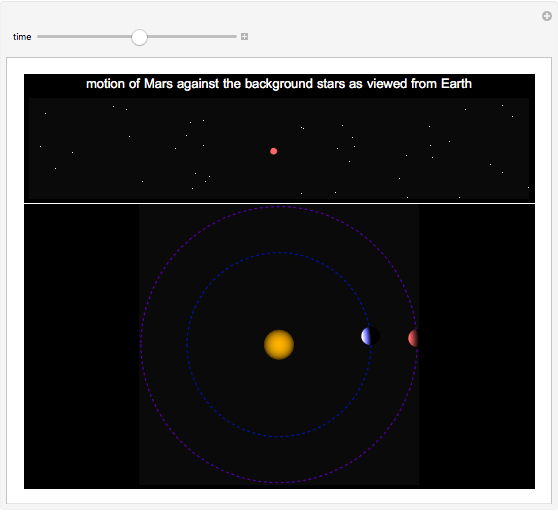 The motion of Mars against the background stars is due both to the motion of Mars and to parallax.